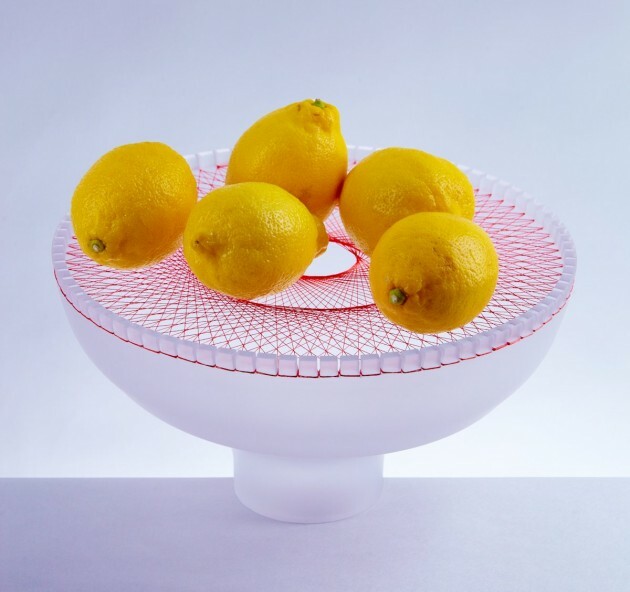 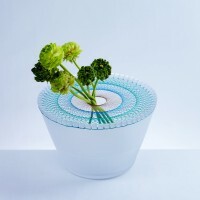 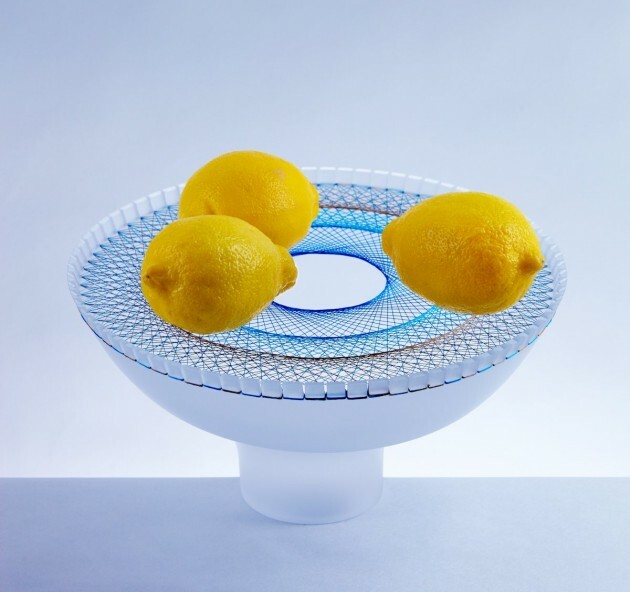 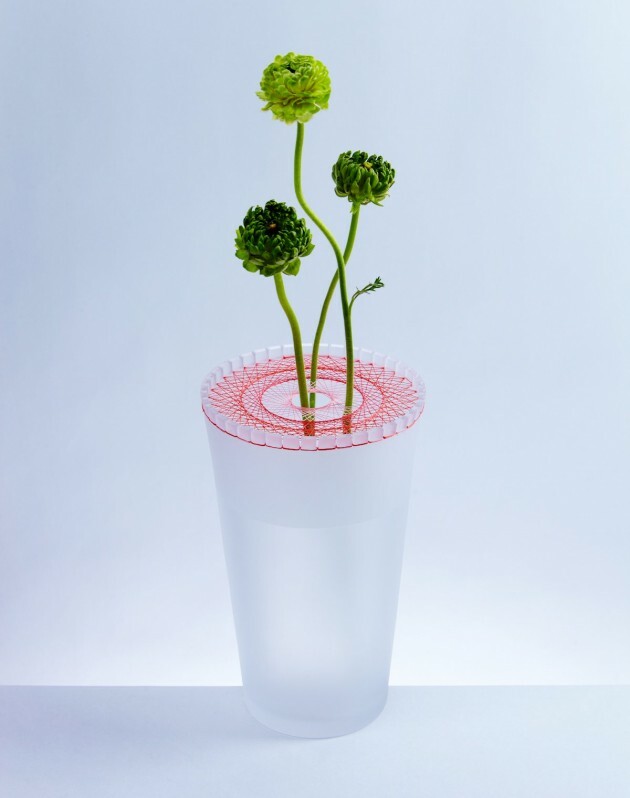 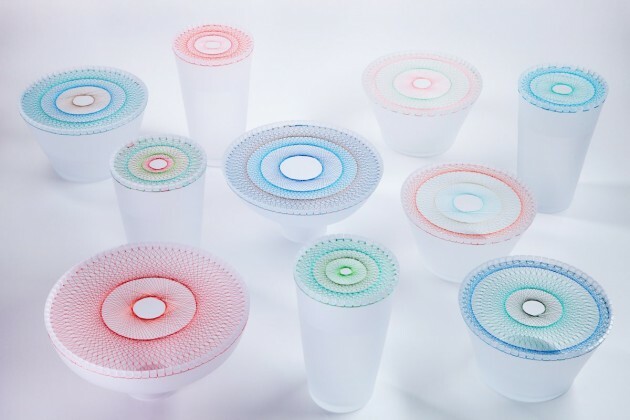 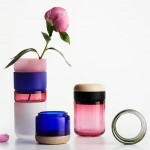 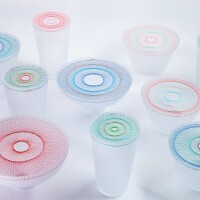 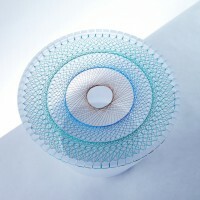 Jun Murakoshi has designed Bloom, a collection of vases and bowls that combines embroidery and glass blowing. 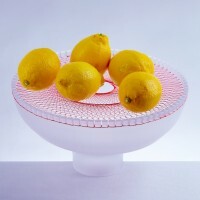 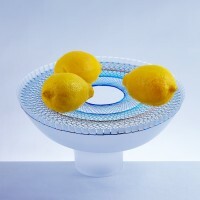 This product is used as flower vase and fruit bowl. 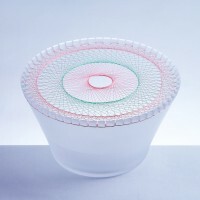 It is tried to reveal the image and potential of material that is glass and thread in this time. 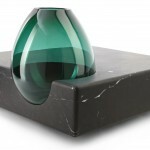 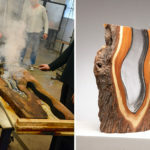 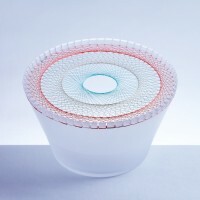 Blowed glass has a feeling of both warm and tension that look like conflicting image. 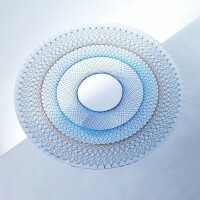 Besides a fiber has a feeling of warm too and tensed thread has a feeling of tension. 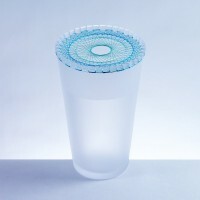 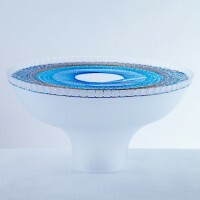 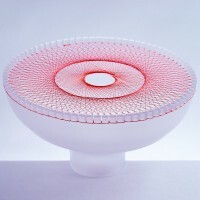 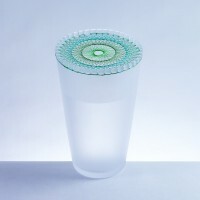 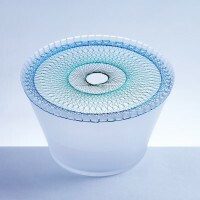 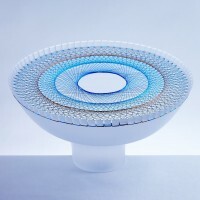 Glass and thread bowl, “bloom” is made of these different materials that have same impression. 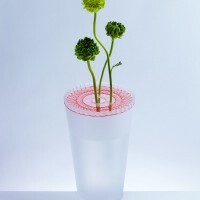 Thread is strong enough to keep position of flower and hold fruits. 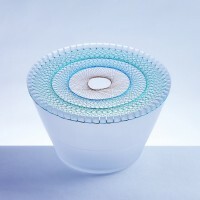 The narrow line creates unlimited patterns; the transparency and exquisiteness that each materials possess make foil each other. 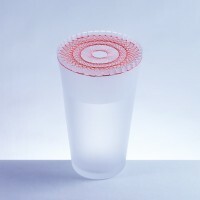 Blowing glass and making pattern of thread are totally handmade. 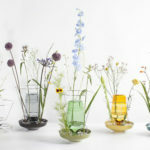 Glasses were blowed by three young talented glass artists, Shunji Sasaki, Takeyoshi Mitsui and Emi Hirose in Toyama, Japan. 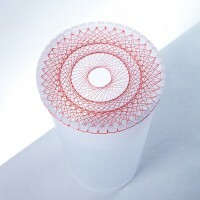 The thread’s pattern is made by the designer himself.